I love when we have friends for dinner or visiting from out of town, to bake something for them to enjoy the following morning. Your guests will appreciate this thoughtful gesture, especially if they have a little too much wine and have to wake up to hungry little children the next day! My signature offerings are a yummy, moist banana bread or my crunchy homemade granola. I like to wrap it up pretty with a hand-made tag, some raffia and a sprig from the garden, you can even place it on the table to add to the décor. Sending them home with something fresh and delicious makes your fun time together linger on into the next day. If possible try to get unsweetened dried fruit at a local health food store for this yummy granola. Who needs the extra sugar when it is so tasty on its own. Toss the oatmeal, coconut, nuts, oil and honey together onto a sheet pan and bake, stirring occasionally with a metal spatula, until the mixture turns golden brown, about 20 minutes. Cool and add flax and dried fruit, mix gently. Store in an air tight container and enjoy with milk, yogurt, ice cream or alone as a snack. For guests, I pour some into a clear cellophane bag and tie with some pretty ribbon and a handmade gift tag. Sshh…This is my secret, go-to recipe, I am in the mood to share today! 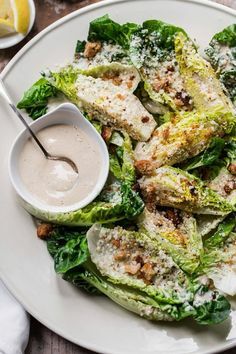 I tweaked this recipe from one in Martha Stewart Entertaining, which is a great resource for fail proof entertaining recipes. In an electric mixer with paddle attachment cream butter, sugar, and eggs. Add the dry ingredients and combine with butter mixture. Blend well and with a spoon or silicone spatula scrape the sides of the bowl to incorporate. Add bananas – I just add them whole and let the paddle of the mixer chuck them up, then add sour cream, and vanilla; stir well. If using, stir in pecans by hand. Pour into a well buttered 9 x 5 x 3-inch loaf pan or several smaller pans…this recipes yields 1 large loaf or 4 small loaves. Bake 1 hour and turn out onto a rack to cool (if smaller loaves, test after 45 minutes).